Cash is always a king when it comes to rewarding an employee. Financial benefits are short-term motivators, employees now a day’s require something more than financial benefits and perks. Employees who are loyal and working hard for the growth of an organization requires special attention and recognition from management in terms of rewards. A successful reward program of an organization is essential to motivate, encourage and satisfy an employee. 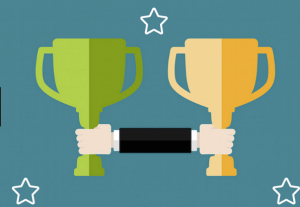 In most of the cases employee rewards are not costly, small rewards are equally effective. Flexibility in hours –Allow your employees the freedom to work when they want to work. Female workers are more eager to get a reward like this because they have to manage their professional and social responsibilities. Flexibility in working hours can worth more than the financial benefits. Wall of Frame- Organizations nowadays recognize the efforts of their employees by giving them the wall of the frame. Be sure to write employee name below their picture and what they did on the frame. Thank you note- Sometimes recognizing the efforts of an employee is an ultimate reward than any other reward. 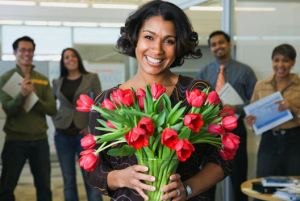 A thank you reward may be remembered by your employee for many years and may pin above your employee desk for many years. Setup an office- Provide your employee an amazing office inside the office building, which is better than other desks, and offices. Rented wheels- A rented or office vehicle can be offered to an employee as recognition of their efforts for the organization. Name the room- Name any conference room, meeting room, lounge in your office on the name of the employee. An employee feels more valuable, confident and motivated with such kind of a reward and looking to do better for the organization. Concert shout out- Give your best employees concert ticket to see their favorite bands in the concert. Through this reward employees can get a little of relaxation and fun and they can get away from the hectic routine of the office. Email- You can email all the employees about the performance of any specific employee and explain the whole organization that how much you are impressed with the efforts of an employee. Family Thanks you- A family thanks you card is one of the most effective ways to acknowledge the services of an employee. Address the employee and explain the effective services of your employee to his family. Double Time- For best performers and efficient employees use double time reward, double the time of their breaks, which includes double lunch time, double coffee time and any other break. The Oscars- Initiate an annual award ceremony in which you present an award to the best performer. This can be done in the summer to offset the annual winter holiday parties. When an employee puts their blood, sweat and tears into completing a task at work, it required not only taking the lead, completing it on a tight deadline, and doing late hours, but it also called for going beyond the typical job responsibilities to get the project done. This work warrants a reward in terms of a promotion, a bonus or a raise. However, when none of it is delivered to an employee, this experience is back-pocketed and an employee moves forward. But will an employee be inclined again to invest that much of effort and time into the next task? Most likely not. When hard work goes unrecognized, no one would be inclined to repeat the positive behaviors inculcated in achieving a project goal, again. These experiences highly discourage the workforce and are damaging to employee engagement. The consequences are equally detrimental for the management. Their reputation is affected and they are not perceived as a team player. This will not only affect their potential to retain top performers but also infect their ability to recruit top talent. To explore more about professional jobs in Australia, please pay a visit! Recognition of an employee’s hard work secures top performers in the company and their will to go an extra mile to achieve a task. Employees are motivated by recognition, particularly when it’s communicated through acknowledgment of their endeavors since it affirms that their work is esteemed. Workplaces should incorporate recognition as a habit with a goal to continue fostering their business. Recognition is a basic element of employee engagement and the fundamental aspect of the employee-manager relationship. A basic thank you goes far and won’t just make your workers feel better, but will also benefit your business. Several reasons can account for the importance of employee recognition. However, three reasons stated below are a backbone and the ultimate goal of any competitive business to get going. For more about employment law Australia, please pay a visit! Recognition is straight-off coordinated with reduced turnover rates, helping your business to remain on the track of success. 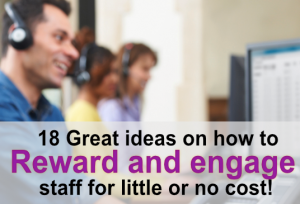 Recognized workers are engaged, and engaged employees liken to higher retention rates. Turnover is a huge issue when you consider the number of lost dollars in employee program and the great many lost dollars in business opportunity. Companies now believe in team work for which there must be a positive environment that fosters team culture. A culture of recognition engenders employee engagement making employees want to work and continue to make a lasting impression on their co-workers. A workplace infused with recognition drives increased performance by its motivated and highly-spirited employees. Outstanding results are produced by the invested workers having a high sense of mission. Employees when recognized become aware of how their work adds value to an organization’s goals and objectives. How Should You Reward Your Employees? It’s essential to custom your plan per your company, so it mirrors your culture and brand. Keep running in the correct route, an employee recognition plan will hugely influence your business. Notify your superiors you have career objectives. The typical college student’s only objective is to get the part of paper needed to continue to keep others satisfied. Unfortunately, you’re also seen as professionally immature and a large challenge at work. There’s a remedy to such challenges that should you implement today it’s possible to pull yourself out of this downturn on top. It’s going be a last-minute choice. Hopefully you could realize superior results with the assistance of my picks too. Employers are guaranteed to take notice since they will observe how adaptable you’re. They will use other reasons not to give you a job. They tend to find these very useful and usually end up calling you. My favourite picks for the week are found on these slides. It ought to be an extremely entertaining final round since the program is extremely tough and hopefully we’ll find some drama on Sunday. 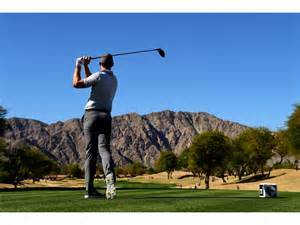 All CareerBuilder Challenge tournament and spectator information are available on our site by going to this website. This week the winner should go low. Probably you’re seeing a couple of things in your company due to this financial downturn. In other words, networking is merely talking to those around you. It is a key component for anyone looking for a new position. If you’re effective at networking, your organization card collection increases in number promptly. Career networking isn’t as scary as it sounds, actually it’s quite user friendly. You may use this network to have the word out that you’re trying to find a new career adventure. Your career might not be everything, but it may be something. The one thing that you are going to want to be worried about in regards to picking a career is it is something which you are able to reach. In regards to planning your career you should consider support, money, and energy. You can construct your working experience along your career path while an MBA program gives you the advanced understanding of small business administration and shaped your organization mind so you are prepared to face your challenge whenever you’re promoted to a management position. You can’t where a work opportunity may spring up. You will discover that job opportunities nowadays are limitless but you have to take up a certain job which will suit you and will force you to get happy. If you happen to do land a job as a result of a lead, be certain to thank the individual who referred you. If you prefer to locate a great job, you have to connect `live’ with those who can rate your potential and direct you towards the most suitable opportunities. You aren’t asking for employment, but instead gathering data about how to land work like theirs. Most men and women search for jobs they have previous experience with. As a way to fully maximize your probability of obtaining a work when possible, you should continue being consistent. Job Search networking will make certain you aren’t met with this kind of a voluminous quantity of competition. So should you are interested in getting the job of your choice you must buck up and ensure you excel in your area.